Vimala Raman actress profile and biography is given here. Vimala Raman is an upcoming actress with some modelling background. She is primarily active in Tamil film industry or Kollywood. She is also an accomplished Bharatanatyam dancer. The gorgeous actress made her acting debut in 2006 when she featured in the Tamil flick Poi. Since then she never looked back and fanned in all the four language films in South India. 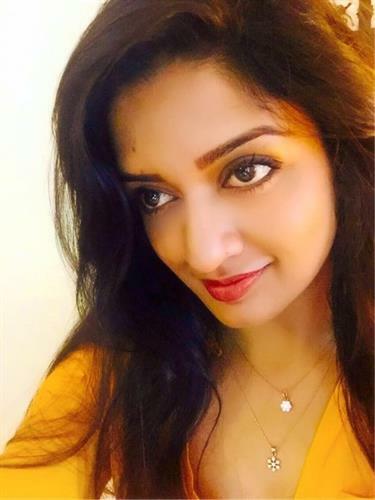 The actress Vimala Raman was born into a migrant Hindu family from Tamil Nadu in Sydney, Australia. She had her early education in a local school near her place of residence in Sydney, Australia. The young Vimala later joined in a reputed school in that city to undergo better training in basic skills in education. She passed with flying colours from that school and joined a reputed college in that city to take her academics to the next level. As expected, she did well in her degree course and came out with decent grades. While she was pursuing her academic courses, she also underwent professional training in dance at the Natanalaya Dance Academy in Sydney, Australia. Later, she studied Bharatanatyam under the tutelage of exponent danseuse Jayalakshmi Kandiah. Thus she was well versed with one ingredient before her entry into the world of celluloid. After her degrees, she moved into the world of modelling and took up assignments to prove her calibre in that profession. In later years, her modelling assignments paved the way for her foray into the world of films. Gorgeous Vimala Raman is 5 feet 6 inches in height. Being bestowed with right height, cute face, appealing eyes and curvaceous body, she has the right built for becoming a successful model. She was very much aware of this fact. That was the reason why she decided to try her luck in the world of modelling and fashion designing. With this intention in mind, she appeared in some audition events to prove her skill set. Being trained in soft skills right from the childhood, the audition events were cakewalks for her. Despite her looks and built, young Vimala initially struggled to gain her foothold in the field and to gain the attention of the big players in the show business. Once she could grab the attention, she started getting a barrage of offers from bigger brands for endorsing their products in different advertisements. When she became a regular feature in various advertisements, endorsements and fashion shows, young Vimala could get the attention of biggies in the other show business, the cinema field. Young Vimala Raman's featuring in various events in the modelling field could earn the respect of people from various fields. The noted Tamil movie director Kailasam Balachander happened to see her featuring in one such endorsement. The director was so impressed with her mannerism and stunning looks that he decided to give a chance for her in his next project. That was how she made a debut in acting in Tamil film industry in 2006. The maiden film in which she featured in the lead role was Poi. The film did reasonably well in the industry and gave her much needed exposure in the world of celluloid. Though she made her debut in the Tamil movie industry, the gorgeous actress got more offers from other language film industries, especially from Mollywood and Tollywood. Till date, the actress has acted in 9 Malayalam and 9 Telugu language films. The first Malayalam film in which she featured was Time. In this 2007 flick, she acted opposite to the action hero in Mollywood Suresh Gopi. In the same year, she paired up with Ajmal Ameer in Pranayakalam, appeared alongside megastar Mammootty in Nasrani and acted with Dileep in Romeo. The upcoming actress later appeared in College Kumaran with megastar Mohanlal and in Calcutta News alongside Dileep in 2008. The high point in her career was when she acted opposite to South Super Star from Kannada Dr. Vishnuvardhan in the flick Aptharakshaka. This film was directed by noted film director P. Vasu. The upcoming actress Vimala Raman's role in this movie was well appreciated by both critics and general public alike. This film cemented her position as an established actress in the South Indian film fraternity. This film went on to make a history of sort when it continuously ran 35 weeks in cinema theatres and multiplexes. In her career spanning almost a decade now, she has also acted in 2 Tamil movies, 2 Kannada films, one Hindi flick and one English film. The English film in which she acted is Dam 999. Vimala Raman is an upcoming actress in the Southern film industry. She is a successful model and an expert in the Bharatanatyam dance form. She has acted over 20 films in a career spanning 9 years in the industry. Though a Tamilian, she could taste luck only in other language films in South India. She has become a popular actress in Malayalam and Telugu movie industries. Though she began her campaign as an actress in the world of celluloid in 2006, her real stature in the acting business became the cynosure of everybody's eyes when she took out an excellent performance in the Kannada film Aptharakshaka in 2010. From that point onwards, she began to be reckoned amongst the top actresses in the South Indian film industry. Her association with Mollywood began in 2007 with the film Time. In this movie, she acted opposite to the action king Suresh Gopi. Since then, she acted in 8 Malayalam films in a span of two years before venturing into Telugu and Kannada film industries. The actress began to be noticed even in the northern belt of our country. That was how she got an offer to act in a Bollywood film by the name Mumbai Mirror in 2013. With the success of that movie, she even got a second offer in 2014. This time around, she featured in the flick Afra Tafri. Way back in 2011, the beautiful actress also appeared in an English language movie Dam 999. With the successful stints in various film industries down South, we can expect more good performances from this beautiful actress in coming years.